Beneath the relentless sway of the ocean currents, and the waves that crack along our coast, something lurks. It's a place so achingly beautiful, so pristine, it could be an imaginary fantasy world. But of course, it is not. Many of us who ply the waters of the Cape by board or boat or blissfully unaware of this vast, vibrant and vibrating liquid wonderland, a sun-shafted underworld populated by a teeming myriad of all things bright and beautiful, all creatures great and small. It is a vast undulating forest - a ring of trees that fringe the nutrient-rich shores of our land. Like terrestrial forests, these 'trees' also grow upwards towards the life-giving light of that giant orb in the sky. They also cluster in clumps. The also have trunks and foliage. But, as a few adventure-seeking Capetonians have discovered, that's where the 'golden kelp forest' starts to differ. As filmmaker Craig Foster, who last week launched the book Sea Change: Primal Joy and the Art of Underwater Tracking with co-author and writer Ross Frylinck, says: "You've got this explosion of life happening the whole time." 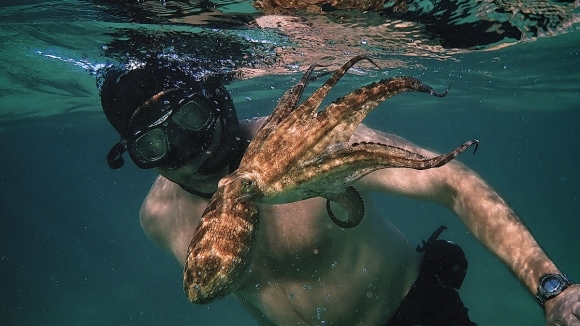 SQUARE ROOT OF OCTOPI: One of Craig Foster's undersea friends hangs out with him. Of the wondrous species you will spot in the kelp forests - from colourful gastropods to cuttlefish and squid to the bizarre but aptly named Blue Dragon sea slug - Foster says: "They are so incredible and so entertaining that they make our most extraordinary science fiction seem dull in comparison!" 'They are so incredible and so entertaining that they make our most extraordinary science fiction seem dull in comparison! 'When you see the bizzare and beautiful beings Foster and Frylinck have tracked, monitored and well, just "hung out" with, you’d agree. Take the Gasflame Nudibranch. This brightly hued gastropod mollusc appears to be sprouting flames from a gas burner. The speckled puffadder shyshark is only 60cm long, and curls up when threatened. The Striped Pyjama Shark is bigger, up to 1metre long, but equally harmless. 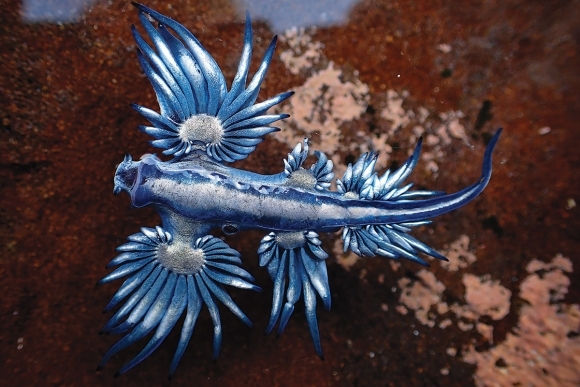 If you saw the miraculous Blue Dragon sea slug, you’d scratch your head in wonder. The design of this creature renders the most outlandishing fabricated futuristic space craft into mere space dust. The book is the culmination of years of diving along these nutrient rich fringes from Oudekraal to Simonstown to Cape Point. They have dived with many of these creatures to the point they have become 'friends' you could say. Over time, the wild animals lost their fear and the humans began to understand. 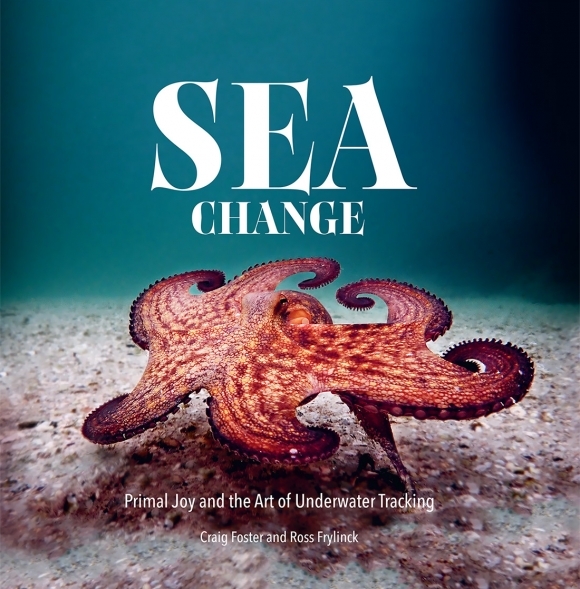 What becomes apparent when you read this book, comprising a deep and personal story of moving away from the cynical hardness of land to the soft embrace of the ocean and her currents and her innocent creatures - illustrated with large-format photographs of ocean fauna and flora - is that the experience has been life-changing for both. As Foster says: "It is a very very powerful, in your face, extraordinary experience. And it jolts you back to being real, and feeling alive, and feeling authentic." At the launch hosted by the Clifton Lifesavers on 4th beach last week, Frylinck tells the story of a stingray that lovingly wrapped itself right around Foster, who literally disappeared in the embrace. Foster is seen as somewhat of an animal whisperer, with many similarly singular examples of a deep bond between human and animal. The duo are part of a broader group of scientists and storytellers who have are going back to a time when humans were part of nature, and not removed from it by dint of a little digital screen. 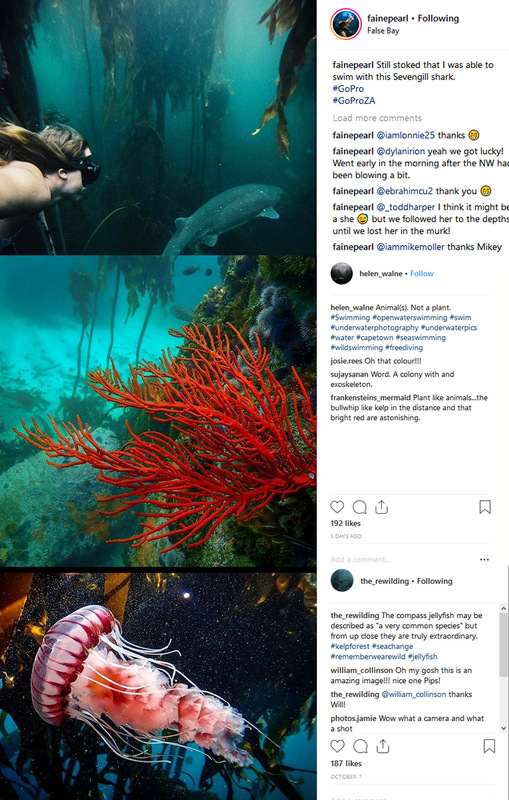 Ironically, I have noticed a growing number of Instagram accounts filled with kelp forest imagery. I believe the cool word for someone with a large social media following is 'influencer'. However, if you can’t beat it, use it to show others how wondrous the golden forest is. That’s smart conservation strategy. But they're also making biological discoveries from animal behaviours and even new species that has attracted the interest of big conservation players, from scientists to BBC Blue Planet producers. They don't use Scuba gear. They don't wear wetsuits. The skin-only, hold-your-breath method grows the authenticity of the experience. Basically, their bodies have adapted and have been transformed by the powerful physical and neurological effects of frequent exposure to natural ocean chemicals and the coldness itself. 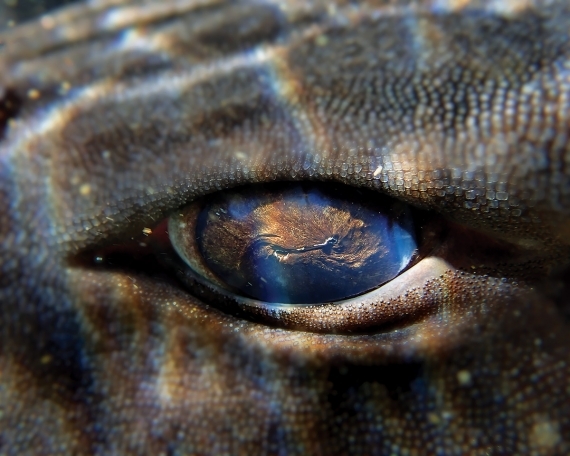 UNDER HIS EYE: A shark's eye gives you an ancient window into a cosmic universe. Even Derek Hynd, the famous Aussie finless surfing maestro, is fascinated with the Sea Change journey. 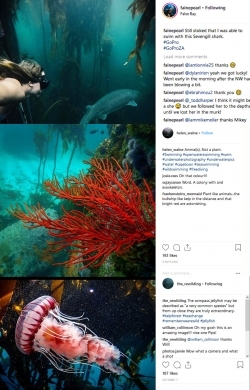 I chatted to him earlier this year in Jeffreys Bay and he was fascinated about the images he has seen, and the spiritual and physical resonance of the kelp forest: an ancient window into the human connection with nature. The point they make is that all around us in Cape Town, sometimes a mere spit away, lies a wild place that offers adventures almost beyond our wildest dreams, and it's free. So grab a snorkel, masks and fins and dive in. The water's cold!